Genetics can sometimes be cruel. For various reasons, some people’s DNA gets jumbled in the womb, making for awkward and disfigured body parts. Two of the most common congenital defects include cleft palates and lips. Modern science and medicine has made it possible to correct many cosmetic and physical congenital defects by means of plastic surgery. Cleft lips and palates occur in roughly one out of every 800 births. A cleft lip means that the right and left sides of the lip have not grown together as they should. In some cases, it can look like a whole piece of skin is simply missing right below one of the nostrils to the bottom of the upper lip. There can even be cleft on both sides of the lip in severe cases. A cleft palate is when the roof of the mouth has not fully grown together, leaving a space or whole at the back of the palate. Both of these conditions can cause serious problems for people in childhood and adulthood if not corrected. They may have a difficult time eating most foods, learning how to speak properly and they may contract frequent ear infections and other illnesses. In order to fix a cleft lip, children must be at least two and a half to three months old. A plastic surgeon will manually pull and stitch the skin together like the DNA should have done in the first place. The cosmetic surgeon makes a cut on either side of the cleft reaching up into the nostril. The skin and muscle is then stretched together and sown up in the cosmetic surgery to create one uniform piece of skin across the upper lip. We were given a donation by Barbies Dolls in New York to help a young woman correct a cleft that was a result of a botched surgery. The results were astonishing and could not have been done without their generous donation. Our foundation is help by the many donations we receive each and every year. Many times corrections go unattended to due to lack of funds and we urge folks to donate what ever amount is possible. For those with cleft palates, the plastic surgery is much more complex and extensive. Most plastic surgeons will wait until a child is at least nine or ten months old before attempting the surgery. The procedure involves cutting the tissue on either side of the cleft separation. The surgeon then brings the tissue and muscle from both sides together and sutures them in place. Recovery from both procedures involves pain and soreness at the plastic surgery sites. The cosmetic surgeon will provide the patient with a prescription for pain managing medication that should deaden the pain during the healing process. If the procedure is performed on a child, the doctor may require the use of elbow restraints to refrain the young one from creating more pain by rubbing or scratching the repaired areas. After cleft lip surgery, the cosmetic surgeon will instruct you to remove the bandages after a day or two. The stitches will either dissolve or the doctor will pull them out after several days. After cleft palate surgery, the patient may not be able to eat normal foods or comfortably drink on his or her own, so many will have to be fed with intravenous tubes for the first couple days. Even though surgery always comes with risks and the recovery is never fun, it is amazing what cosmetic surgery and plastic surgery can accomplish for those with cleft lips and palates. In many cases, their scars will fade to be almost imperceptible and they may learn to speak just as clearly as the any other person. Modern plastic surgery has made it possible for those born with lip and palate deformities to lead normal, unaffected lives! The birth of a child with any form of a defect can be an earth shattering event for the parents. There has been an enormous amount of research on this subject over the past few years. Many of the studies suggest a link between a nutrition deficiency and some of the defects. There is strong evidence to indicate that the B vitamin folic acid can help to prevent some of the incidents of birth defects. Folic acid research has shown that it can help to prevent neural tube birth defects. This includes spina bifida and anencephaly. With this in mind we must ask ourselves is there any connection between folic acid and orofacial cleft birth defects? The cleft is a failure of tissue to grow properly together. In this case, it is the mouth and the roof of the mouth that does not form correctly. There are two major types of facial cleft. Cleft lip is where the two sides of the lip are separated. In some cases, it can include the bones of the maxilla and the upper gum. The actual size of the cleft can vary as well. The cleft palate is an opening in the roof of the mouth. The majority of the hard palate at the front of the roof, however, in some cases the soft palate at the rear of the mouth can be involved. In both cases, the actual severity can vary quite considerably. It is usually five to nine weeks after conception that orofacial clefts can occur. Formation of the lip and palate happen during this time, although each develop separately. There is no compulsory screening for orofacial clefts, although they can be detected by ultrasound. Therefore, it is only when the baby is born that the cleft condition is recognised. The incidence of neural tube defects is one in 500, but for orofacial clefts it is one in 750, with one state rising as high as one in 450. More than 100 affected children are born every year. The exact cause of this condition has not been pinpointed, but it is suspected that it is a combination of genes and environmental factors. However, orofacial clefts are quite often linked to other defects as part of a syndrome. There are several hundred syndromes that are associated with this condition. Many syndromes have well-known chromosomal or genetic causes. It is possible to repair these clefts with surgery. Even so, multiple surgeries are normally required to complete the reconstruct the lip and the palate. There are other problems, which are associated with this condition. These include feeding problems, ear infections, speech and dental problems. 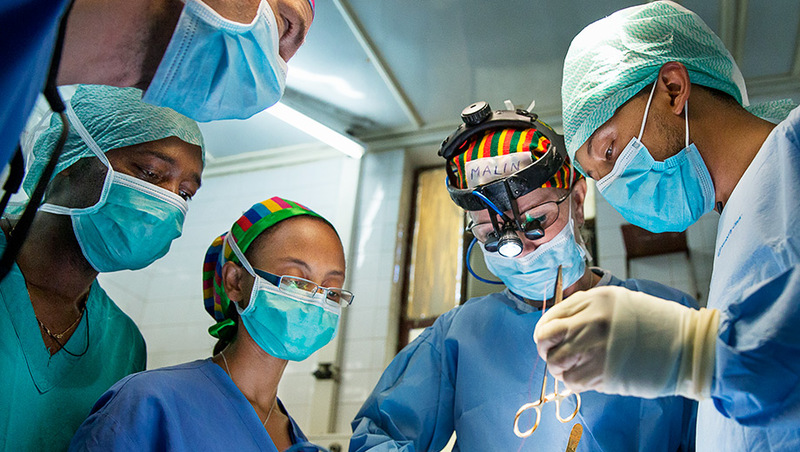 However, we must not forget the effect these surgeries have on both the child and its parents. Needless to say the medical bills for this treatment run into the hundreds of thousands of dollars per child. It is the most common birth defect in this country. Sadly, around 15% of the babies born with this condition die before the age of one. This is usually because of associated birth defects. Is there a connection between folic acid and orofacial clefts? Mothers with orofacial cleft infants and mothers with none orofacial infants were part of a recent study. All mothers were asked if they had taken either multivitamins with folic acid or eating cereal fortified with folic acid. The results indicated that the mothers who had taken multivitamins from one month through to two months after conception reduce their risk by 25 to 50% compared to the women who did not use multivitamins. However, the study stressed that this result may not be due, specifically to folic acid on its own. The majority opinion thought that it might be the result of the other ingredients in the multivitamins acting in synergy with the folic acid. Women who could become pregnant should increase their daily amount of folic acid. This can be done either by the proper diet or by a folic acid supplement. If you are pregnant then you should contact your doctor and ask his advice before starting any form of a supplement. A cleft lip and palate is formed when there is failure of proper fusion of the palate or upper lip, when the baby is developing in the womb. In many cases, no exact causes can be stated for this condition. It may be caused by a combination of genetic and environmental factors. It is indicated by research that the genes that are inherited from parents are responsible for cleft lip and palate developing in a child. Various genes are said to be responsible for this. In a few cases, a family history of clefts is seen. 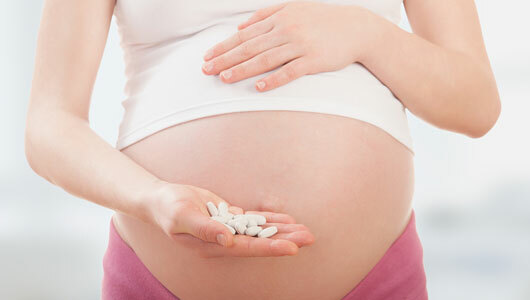 Daily supplement of folic acid has to be taken by women during the initial 4 months of pregnancy. With folic acid, the possibility of birth defects is reduced to a considerable extent. As per one study, it was found that the risk of this condition increases 4 times if folic acid is not consumed in the initial 3 months of pregnancy. If a mother smokes during pregnancy, the chances of her baby being born with this condition are increased to a great extent. No one is fully aware though, of the risks of passive smoking. Smoking should be avoided as it would help. A link between the consumption of alcohol during pregnancy and the baby developing cleft lip and palate has been shown by many studies. Avoiding consumption of alcohol during pregnancy is definitely important. The risk of this condition increases to a very great extent if mothers are obese. Proper nutrition is extremely essential as, with poor nutrition, the risk is increased to a considerable extent. The GP should be consulted before taking any kind of medication during the pregnancy. The cleft sections of the upper jaw are realigned. The edges of the cleft are brought closer together for fixing the problem accurately. The nasal defect is rectified for enabling a normal looking nose. 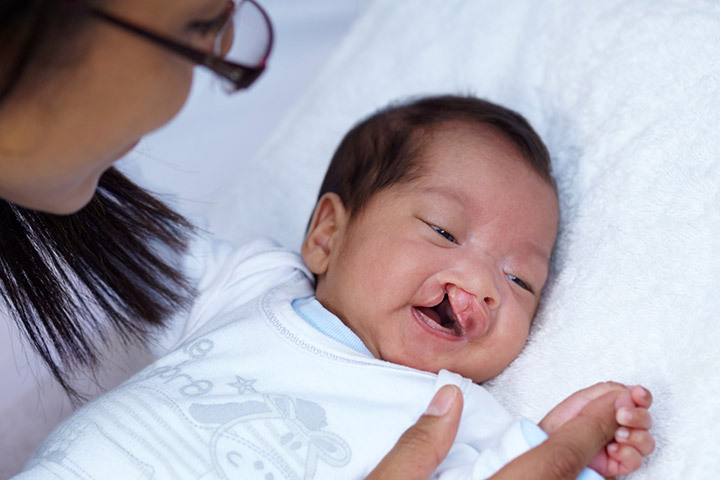 Nearly 1 in 600 infants will be born with a cleft, or opening, in the lip or palate. These openings can lead to speech, auditory, nutritional, and dental difficulties for the child. While there may be a heredity component to the formation of cleft lip and palate, the exact cause remains unknown, making prevention difficult. Multiple surgeries and long-term treatment can repair the problem, however, they can cost upwards of $100,000 and more trained doctors are needed. Smiley Faces Foundation is a nonprofit organization whose mission is to support the Institute of Reconstructive Plastic Surgery’s Cleft Lip & Palate Clinic located at NYU Langone Medical Center. Formed in 2009 by Adam Bell, the Foundation raises awareness as well as funds to assist the Institute in providing proper treatment for all children in need of cleft lip and palate repair throughout the United States. The cause of cleft lip and palate repair is a personal one for Adam Bell and his wife, Donna. In 2005, their youngest son, Ethan, was born with a fairly severe unilateral cleft lip and palate. The Bells were fortunate to have a pediatrician refer them to the NYU Institute of Reconstructive Plastic Surgery, the worldwide leader in cleft treatment and repair. A few years—and two successful surgeries—later, Ethan is one of the happiest little boys in the world and is always quick with a big smile. Adam and Donna owe a heartfelt debt of gratitude to the NYU Institute of Reconstructive Plastic Surgery.